A community of lifelong learners and creative thinkers who are passionate about transforming our world through design. Learn about our vision and mission...those values that drive us to explore and make as we prepare students for their futures. Top 10 reasons we're unique...and just right for you. We are risk takers and problem solvers. Through our interdisciplinary studios, students and faculty from all of our disciplines, Architecture, Interior Architecture and Landscape Architecture, learn from each other, respecting the diversity of thought and experience. We’re a small community (about 450 students and 60 faculty and staff) within a large, dynamic university. In this setting, we explore through research, collaborate through public service, learn through making and discover through design. 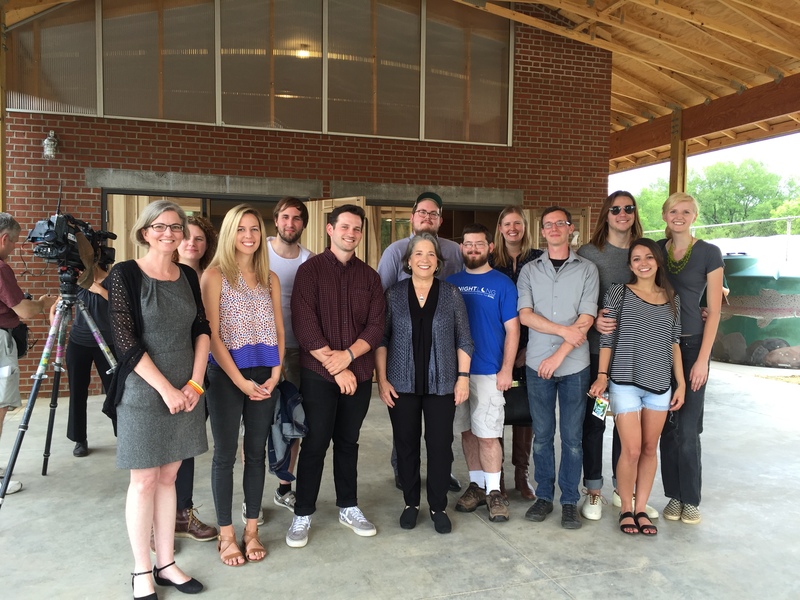 Learn more about the University of Tennessee and the College of Architecture + Design. Founded in 1965 as the New School of Architecture, the UT College of Architecture and Design is now comprised of the schools of Architecture, Landscape Architecture, and Interior Architecture. Also in 2019, DesignIntelligence ranked our undergraduate Architecture program No. 16 among all public schools in the nation, and in 2017, the program was ranked No. 10. It’s easy to find creative inspiration in a place like this. From the extensive resources of the UT’s 600-acre campus and our own award-winning building to the vibrant city of Knoxville and the spectacular Great Smoky Mountains, it’s great to be a Tennessee Vol. From our award-winning Art + Architecture Building to the vibrant campus of the University of Tennessee to the exciting city of Knoxville, we love it here. See what Knoxville, the University of Tennessee and the College of Architecture and Design have to offer you. We are part of UT's land-grant mission to make a difference in people's lives. Join us.